I know that the prevailing wisdom when it comes to the PS Vita is that the platform is dead, but let me assure you, if you really are into this handheld console, you would quickly realize that this couldn’t be further from the truth. While the big three consoles have a few good RPGs that you could sink your teeth into, the place to be for authentic and engaging Japanese Role Playing Games is the Vita. 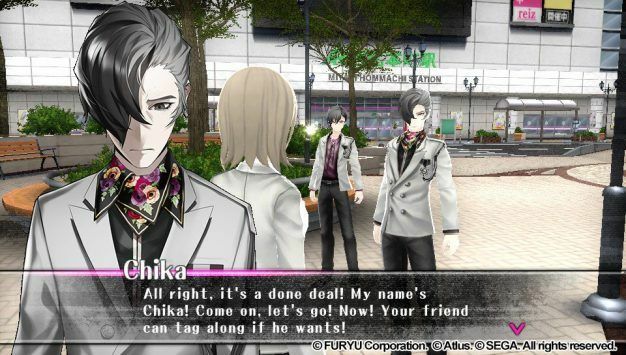 One such JRPG in particular is a recent release from publisher Atlus and game developer FuRyu called The Caligula Effect. As is the case in most JRPGs, you take on the role of a high-school student who realizes that you and your classmates are not living in the real-world but a virtual world known as Mobius. 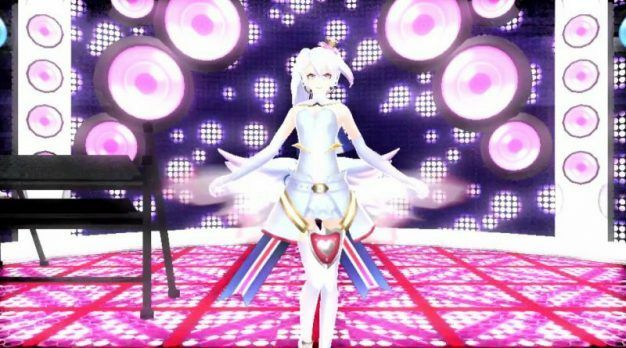 This world would be a good place to live if it wasn’t for the crazed students known as Digiheads, the evil music producers, and the omnipotent virtual idol Mu (pronounced Myoo) who is holding everyone hostage. µ is a vocal synthesizer software that will obediently sing anything her user inputs and created Mobius in order to save a tortured humanity. 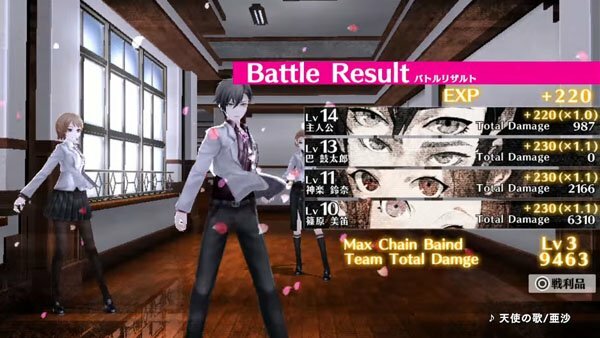 The Caligula Effect features a riveting story penned by Persona series veteran Tadashi Satomi (Persona, Persona 2: Innocent Sin, and Persona 2: Eternal Punishment) so fans of his work know that they are in for a fantastic ride. As you realize that Mobius isn’t what you thought it was, other students begin to make the same realization. Recognizing that there is strength in numbers, you and several other students form the Go-Home Club (I know, right?) and pledge to do whatever it takes to escape the digital prison. To be successful, your crew must defeat a group of evil music producers (known as the Ostinato Musicians) who have been working with Mu, while coming face-to-face with your own black secrets and desires. Don’t look too closely if you don’t want to see who all of the characters are. Otherwise, take a gander at your starting team members and the musicians that you will have to face off against. Battles happen in typical turn-based fashion where you get a chance to strike, heal or defend and your opponents then get a turn to do the same to you. You start out on your own but you soon are able to add up to three other members to your party so that you have the ability to defeat the tougher enemies that you will come up against. While you can only have four members in your party at one time, you have the choice to choose members from 500+ NPCs that you can recruit into your party. Each NPC has a preassigned class (such as offense, support, etc…) and have a unique background story that’ll slowly be uncovered when you embark on quests that they ask you to complete for them. This gives you an almost endless supply of party members to choose from and to level up so that they are strong and able to face any threat. 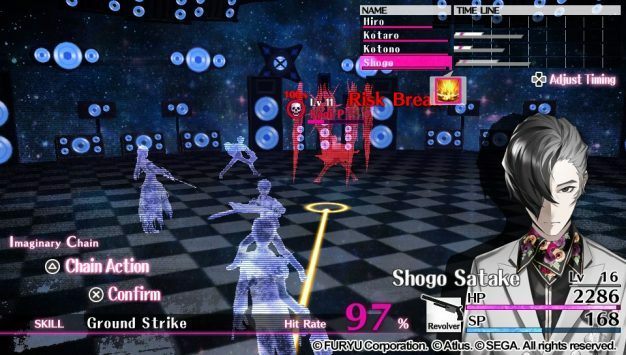 You can recruit 500+ NPCs to fight with your team and who have their own specialties in battle. While this game may seem like your ordinary, run-of-the-mill JRPG, it offers a cool twist to the action that I thought was inventive and takes this game to the next level. 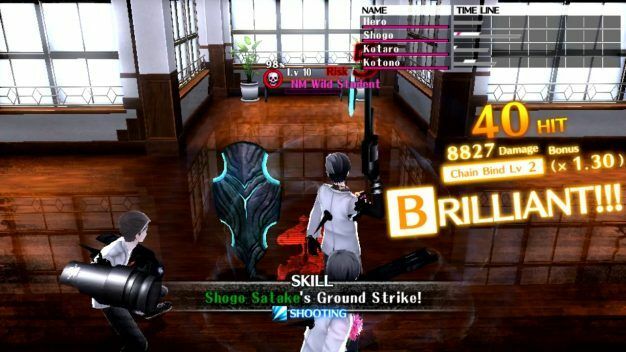 The Caligula Effect features a unique battle system called “Imaginary Chain” that makes encounters an exercise in planning. Once enemies are encountered, players will seamlessly transition into battles where they can choose from 100+ skills and abilities to unleash on their enemies. Each member of your party can choose up to three actions each so if you have four members, you can unleash 12 actions on the enemies before they even get a chance to retaliate. Choosing the right “chain” of actions could be the difference between success and failure so its important to know the many different actions that your members are capable of and how they will inform the outcome. The Imaginary Chain allows you to see if your attacks will be successful or not. Sometimes it shows you succeeding but depending on buffs that the enemy uses, it just might not be. What’s cool about the “Imaginary Chain” feature is that you get a preview of how the action will play out and how much damage it will inflict when it lands, but that’s not the end of it. In addition to being able to see how your action will play out beforehand, you can also adjust the timing of that action before committing to it. For example, if you choose an attack that will pop the enemy up into the air, you can choose for one of your party members to blast them with an aerial attack at the exact moment that that enemy is in the air and vulnerable. This allows you to maximize the damage you are dishing out by creating deadly attack chains between party members so that the enemies don’t get a moment to catch their breath. The selections on the left of the screen allows you to choose from attacks, heals, or buffs. You can chain up to three actions per team member in battle. 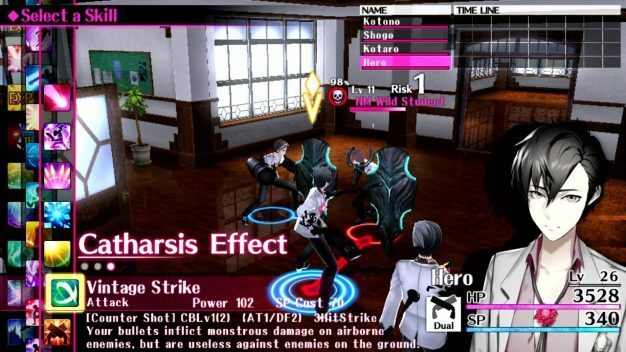 Visually, the game looks pretty good on the Vita screen considering, but the character models, while varied, were just modifications on the same five or six main designs. The bosses were very uniquely designed but it takes some time to get to them while you advance in the game by completing the main and side quests. Design-wise, the choices make sense being that you are in a high school and Japanese schools often require students to wear a uniform. The soundtrack was also very impressive having been created by celebrated Japanese producers such as OSTER project, 40mP, 164, and [email protected] The music presented here is very appropriate to the theme of the game and did a fantastic job of setting the mood in every situation that you are placed into. At the end of a battle, the game gives you the results of your performance as well as grading you on your performance, of course. Playing The Caligula Effect was honestly an experience that I have been wanting to have with a video game in a long time, however, there were a couple of minor issues that I had with the game that I think I should point out. While the music is very awesome, you often have to listen to the same loop repeatedly while you are exploring a particular area. I got amazingly annoyed while roaming the halls of the high school and some of the other areas in the game because it loops the same song over and over and over and… Well, you get the picture. The other thing that I noticed while playing was the fact that you can’t opt out your party members from the fight if you are facing an enemy that you can handle with an attack or two. Even if your main attack is enough to defeat the enemy, you still have to choose at least one action from your other party members in order to complete the battle and they just end up attacking the enemy’s corpse. This screen gives you info on what you and your team members have earned for that particular fight plus how close you all are to leveling up. The issues I talked about above are by no means deal breakers and can be solved by simply turning the volume down on the background music setting or by just using those extra party actions to support the main character. I will say that there is a lot of stuff happening in this game that I didn’t have room to tell you about in this review. Just download a copy, try it out for yourself and you’ll understand immediately what I am talking about. In addition, having the ability to adjust the timing on actions was a game changer for me and allowed me to tailor my attacks how I saw fit in order to maximize my party’s effectiveness on the battle field. The Caligula Effect was a breath of fresh air when I thought I would just be playing the typical JRPG. This game is all of that with a whole lot more added on top. The game is available now on the PlayStation Store for $39.99.